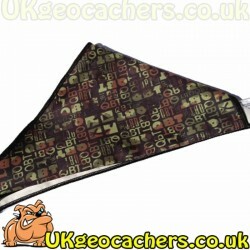 A small dog bone shaped caribiner complete with split ring that is ideal for clipping anything to your daysack or dogs lead. Ideal geoswag. Note: Colours selected from available stock. This Dog Bone Toy is a solid toy shaped like a bone and is an ideal toy for medium to large sized dogs. 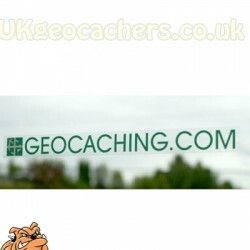 A great item to take with you whilst caching with your dog, or even leave it as a swag or trade item in a cache for a canine cacher to enjoy. 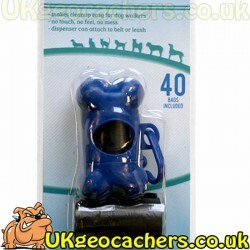 This Doggy Bags and Holder set has 40 pet waste bags and a Plastic holder complete with clip. 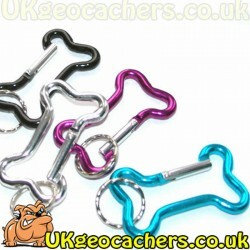 Simply use the clip on the holder to attach it to your dogs lead, your belt loop, bag etc. 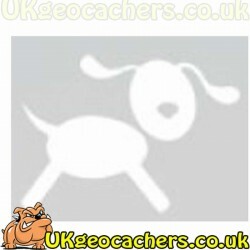 These collapsable dog water bowls flod flat when not in use so you can carry them easily in your geocaching kit bag. 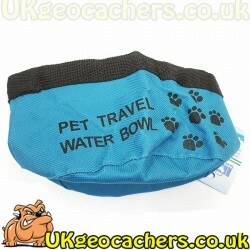 Simply open up and fill with water to give your canine cacher a refreshing drink on the trail. Waterproof and light they are a great deisgn. 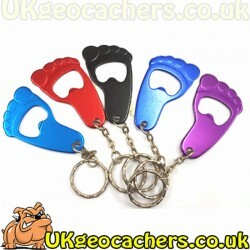 These foot bottle openers look great. 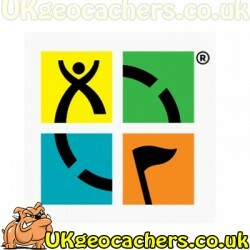 Leave one in a geocache so that they can walk away with any muggles that find it. 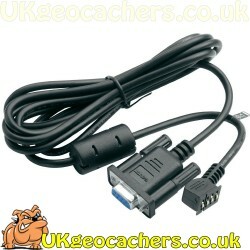 Measuring approx 6cm x 3.5cm x 2mm Note: Colours selected from available stock. Sold individually.